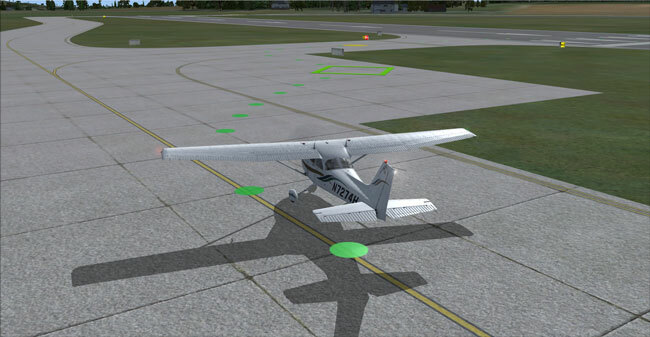 When I first heard about Redbird’s Guided Independent Flight Training (GIFT), I was curious. So many recent advances in transportation technology have been moving us toward increased automation and computer-driven decision making. That has its good points and its bad ones, but how does that trend extend to teaching someone to fly? 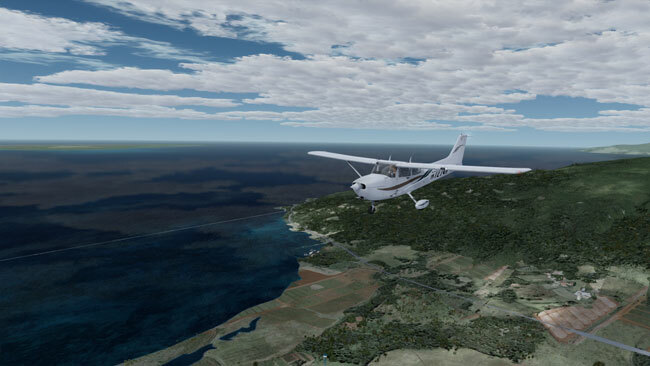 GIFT—a series of smart scenarios designed by Redbird to be flown in its simulators—acts almost as a second flight instructor, albeit one that exists somewhere between the internet and the sim software. It has the ability to grade a student’s performance and provide a certain level of review and feedback. I recently had a chance to run through a few of Redbird’s GIFT training modules. Going into the demo, I was of two minds: either it would be a glorified version of a flight sim computer game or it would be a step too close to removing actual people from the teaching aspect of flight training. The former would be largely useless, the latter deeply unsettling. I was in for a very pleasant surprise. When I met with Redbird’s VP of Marketing, Josh Harnagel, for the demo, we were in a Redbird FMX simulator. For those who haven’t run into them, the FMX is an all-electric, three-axis, FAA-certified AATD. It can be plugged into a wall outlet and has interchangeable yokes and panels so it can be set for a variety of single- and multi-engine aircraft (glass or analog). For testing out GIFT, the FMX was configured as an analog 172. At the moment, GIFT is only available for the 172 (both glass and analog), but there are plans to add more aircraft types. After Josh gave me my USB key, we set up an account. It was quick—I just had to enter my name, email address and license number, and create a PIN. Once that was done, I had access to all of the GIFT private pilot lessons. 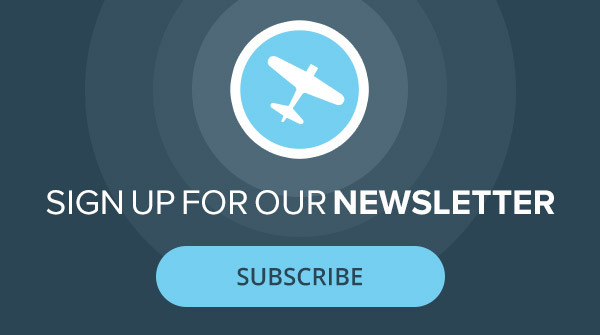 The private pilot program currently boasts around 32 modules. Each module addresses a flight-training mission—generally, a maneuver or transition. We started with the Normal Takeoff module. I sat down in the sim and inserted my USB key, which unlocked the GIFT modules on the FMX. The USB also acts as a backup, recording scores in case there’s a problem with the simulator’s internet connection. Then it was just a matter of plugging my PIN into the website on Josh’s iPad and hitting the start command. The module began with a short video describing the procedure and goals of the maneuver. The videos can be watched at anytime, so they can be reviewed as many times before and after the lesson as the student wants. After the video, we started the scenario. GIFT provides visual markers as guidance when a new skill is being taught. For the normal takeoff, GIFT talked me through applying power and set up a target line on climb-out for me to try to follow. For the Short Field Takeoff module I did later, the target line had been removed, though GIFT still tracked my ability to maintain centerline on departure. GIFT does provide guidance if you deviate significantly, prompting you to correct things like being too far left or right of runway centerline, too slow, etc. Once the maneuver was complete, my flight review popped up under the Normal Landing module in my account on the website. GIFT tracks relevant data for the entire flight and compares it to standards based on the FAA PTS. For my normal takeoff, I was graded on airspeed and distance from centerline, but GIFT has no trouble simultaneously measuring everything from rate of turn, altitude changes, rate of climb and so on. When I opened the Normal Landing module, an option to debrief my last attempt was available. From there, I could review my performance numbers throughout the maneuver. The debriefs are primarily graphical, allowing the student to see comparisons of the tracked data. GIFT is designed to be as technique-neutral as possible. It’s based on the idea that there’s no one right way to fly a maneuver well (though there are wrong ones, and GIFT will call you out if you think a good landing means dragging it in 10 feet off the deck even if you do touch down in the right spot). It leaves it up to the instructor and flight school to teach the technique. GIFT just tracks the results with an eye on the PTS. The scoring is geared toward realistic flight expectations. Most maneuvers have non-scored windows to allow the pilot to establish a correct flight attitude. For example, you might get the first 20 degrees of heading change in a turn to stabilize before deviations count against you. For the Normal Landing and Normal Turn modules, there were gates to fly through. For those modules, they appeared as green brackets in the sky. For some modules, the gates are invisible, though passing through them at the right time and in the right configuration counts. The modules are made to be used in a logical but flexible way. They don’t have to be completed in a particular order. However, the Short Field Takeoff module does assume you’ve had some experience with normal takeoffs. Josh described GIFT as working like a spell checker. It catches the errors, but doesn’t create the content or make decisions about it. It’s a training tool designed to work in concert with an instructor, not without one. GIFT’s job is to do what computers do best: keep track of and compare multiple data streams. It doesn’t teach aeronautical decision making. Instead, it observes the flight, keeping a constant eye on things that are more difficult—or even impossible—for a human instructor to watch. In some modules, green gates act as markers so you can gauge your performance during a maneuver. $249 will get you your own GIFT license. Purchase comes with a USB key and a license number that will go with you anywhere. You don’t have to always use the same simulator or fly at the same flight school. Licenses can be purchased at Redbird or through participating flight schools and sales partners. 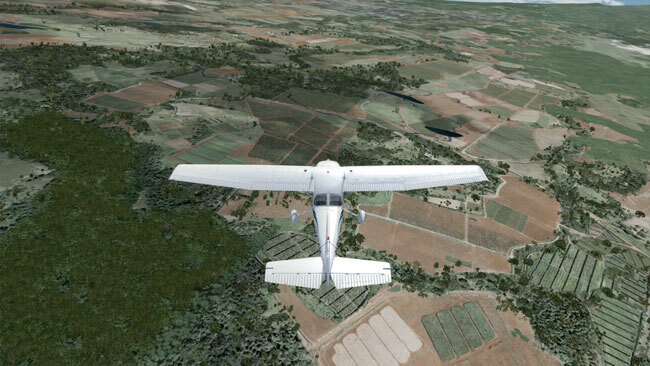 GIFT is currently available on Redbird’s FMX, MCX, MX2, SD and LD models. GIFT does need to be installed on a particular simulator before it’s available. The installation is an automated process as long as the sim is connected to the internet, so it should be readily available for compatible units. As long as a sim has GIFT installed, you can just hop in, plug in your key and PIN, and you’re good to go. GIFT officially launched on July 24, and there are already a lot of big plans for this little program. At the moment, GIFT is available for private pilot training only. Instrument, commercial and multi-engine training all look to be in its not-too-distant future. Redbird is also planning on making it available on its TD/TD2 and Jay models. More modules likely will be added to the private pilot course, including missions like cross-country flying. As mentioned before, Redbird also will be expanding the types of aircraft GIFT training is available for. 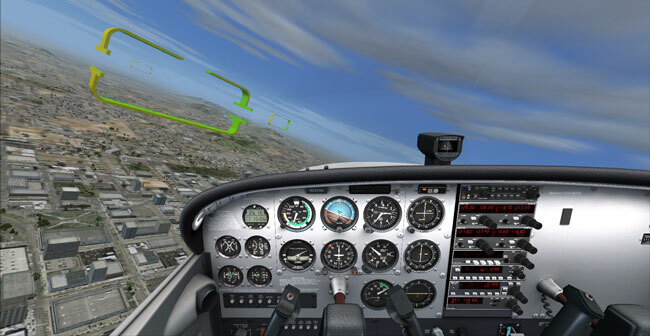 Once other aircraft types are added, GIFT will automatically switch to whichever aircraft the simulator is set up as. The part I’m waiting for is the bit where GIFT learns from the student. Though it doesn’t yet, eventually GIFT should be able to identify an individual student’s patterns and issue early corrections or reminders, making it an adaptive teaching tool. There also was some mention of looking into developing a cockpit version one day. The flight doesn’t have to stop once a GIFT mission is complete. Though it won’t count toward the module score, you can choose to continue flying after the lesson is finished. So how did it actually feel to have a virtual instructor leaning over my shoulder with an eye on all of my gauges? I loved it. GIFT provided exactly the kind of data I could see using to perfect my maneuvers and diagnose flaws in my technique. Overall, I found it to be an excellent balance of automation and human-driven learning. It will give students the ability to practice on their own and receive constructive, objective feedback that they can review immediately and with their instructors later. If it works like it demoed, it should be a great tool for improving student readiness while freeing up instructors to work on the more complicated stuff like teaching new pilots when it’s safe to go flying. Learn more about GIFT at Redbird.